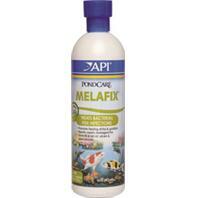 Aquarium Pharmaceuticals, Inc. has been helping people take good care of ornamental fish for over 40 years. In 2005, Aquarium Pharmaceuticals, Inc. became the new API brand. • Includes Test Solution, Glass Test Tube With Cap, and Color Chart Instructions. • Used When Setting Up A Pond, Adding New Fish, Or Changing Pond Water.